A market town since the Middle Ages, High Wycombe emerged as an industrial centre in the 17th century. Located in the Wycombe District, the town is located just 30 miles from central London and 20 miles from London's Heathrow Airport. It is also located close to the M25 and M40 motorway corridors. With nine business parks close to the M40, Wycombe supports over 9,000 businesses and a workforce of approximately 90,000. Traditionally, High Wycombe has had a significant furniture making and design industry. The town's largest remaining furniture marker is Stewart Linford. Other significant employers in High Wycombe include office furniture maker Verco and Swan, which produces tobacco papers, filers and matches. Today, Wycombe's economy is focused on four key sectors, advanced engineering, ICT/software development, biopharmaceuticals and medical devises, and food and drink. Wycombe also maintains a diverse retail sector, supported by the Eden Centre and shops in the High Wycombe town centre. Recent efforts to improve the town centre include plans to create 3,000 jobs by 2026. Amersham and Wycombe College provides higher education courses in art and design, hair and beauty, health and social care, counselling, leadership and management, media, music, performing arts, and teacher training. Further education for students between the ages of 16 and 18 are also offered in these disciplines, as well as construction, electrical, gas and plumbing, ICT and business, sport, public services, and foundation studies. The college also works with local partners, including the Wycombe District Council, to deliver an apprenticeship scheme for youth. 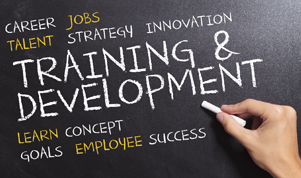 In addition, it delivers training solutions to businesses of all sizes located throughout the Thames Valley. The Peter Jones Enterprise Academy at Amersham and Wycombe College also provides enterprise and entrepreneurship studies to youth aged 16 to 18. The main campus of Buckinghamshire New University, also known as Bucks New University, is located in High Wycombe. A secondary campus is also found in nearby Uxbridge. The university delivers a number of undergraduate and postgraduate programmes. Studies can be undertaken in business and management, law, media, education, engineering, furniture, art and design, nursing and health, and several other fields. Bucks New University also houses the Missenden Abbey Conference Centre, a stunning venue for conferences, meetings, and training. The university also offers a range of skills development options to businesses and residents through short courses, continuing professional development, foundation degrees, and work-based honours degrees. In addition to further and higher education, there are a number of regional and local support agencies that provide skills and professional development opportunities to businesses and local residents. Skills Centre Bucks offers local businesses and their employees, as well as local residents, business skills training. Workshops and courses are offered in interview skills and CV writing, reading, and maths. The centre also provides businesses with advice and support when finding business solutions, including developing business plans, and employment and skills strategies. Similarly, Buckinghamshire Business First organises networking events and provides business advice, research and other support to local businesses and business owners. Wycombe District Council also delivers courses in food safety and catering, and workplace health and safety. To promote local businesses, the annual Wycombe Business Expo was launched in 2010. The event is an opportunity for local businesses to showcase their goods and services, as well as network and build partnerships with other businesses and organisations. This business community-led initiative is sponsored by the Wycombe District Council and Buckinghamshire Business First. Recommended by Prime Office Space, the commercial property partner for Shared Vision: Training & Career Development in High Wycombe.